University of Birmingham on 10th September 2012. Drawing on the established fields of usability, user experience and interaction design, this workshop aims to bring together people to discuss the concept of ‘delight’ in interface, product and interaction design. ‘Delight’ or ‘delightful’ design is, we argue, an aspirational quality that the HCI community would do well to consider when designing and evaluating interfaces. Open-mindedness and designing for emotion seem critical aspects of a broader call or desire for design which is ‘delightful’; an experience which engages the user more fully, an experience which provokes ‘ensoulment’, a term coined by Nelson and Stolterman to describe an emotional response to a product which results in a deeply moving feeling of being significantly changed. This is the second year that Yards [Brewing Company] has released a beer for the Science Festival, a 10-day celebration of science and innovation held at locations all over Philadelphia. Besides debuting Atom Blonde, the Science Fair mixer hosts exhibits and tech demos. The big hit of the night is “Beer Pong,” which is not the college drinking game, but a variation of the videogame Pong played with beer mugs as paddles. Perhaps you are investigating methods for inducing negative user experience, or for not getting things done (or is that Facebook?). Maybe you would like to argue for the importance of Taylorism within HCI, or explore user interfaces for the neonate. We are looking for papers and topics that make us think again about HCI, that spark discussion, that would get highly divergent grades in standard review process. 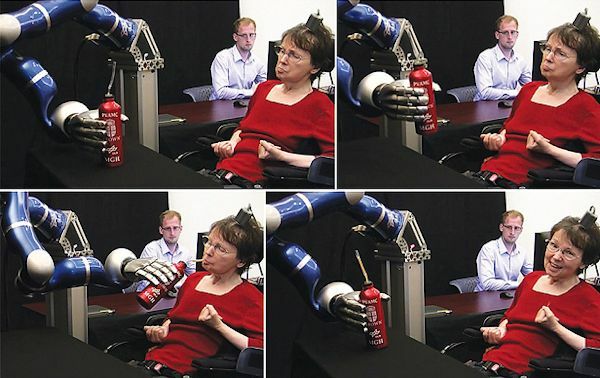 Human–Computer Interaction is a broad discipline, and the British HCI conference has always been more accepting of the range of this than some venues. However, we still need to be challenged, to see new things, or see the old in new ways. 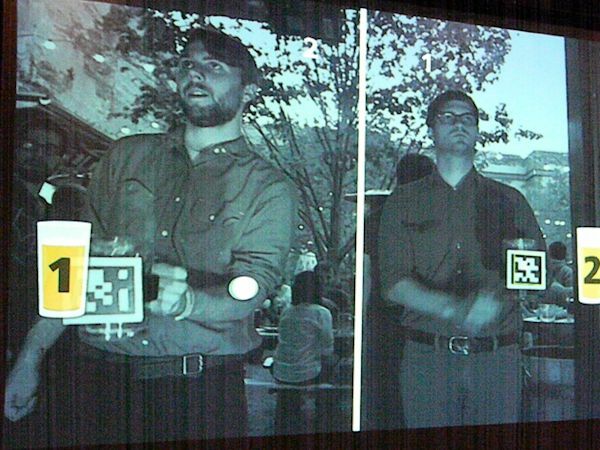 Gesture-based computer interaction, as depicted in “Minority Report,” looks like it will soon become commonplace. 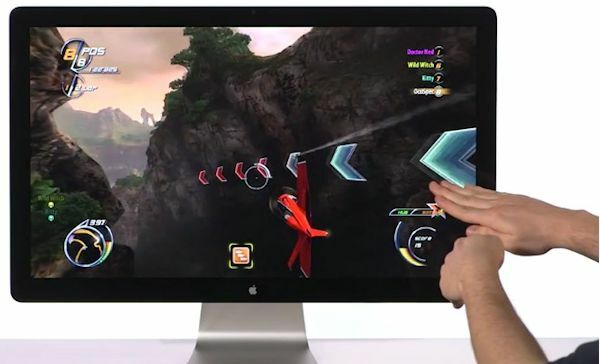 “The Leap” peripheral lets you control UI elements using gestures made in the air. The mobile revolution has prompted not only new forms of computers but also new ways to interact with them. Apple brought touchscreens to the masses. Google introduced voice-based and image-based search in Android and iOS, and is presently working on augmented reality glasses. Nintendo reinvented video game interaction with its Wii controller and then Microsoft upped the ante with its Kinect gesture tracking system, first for Xbox and more recently for PCs. The International Journal of Gaming and Computer-Mediated Simulations (http://www.igi-global.com/ijgcms) announces a call for papers for a special issue dedicated to the topic of Ludic Simulations, co-guest edited by Patrick Coppock (University of Modena & Reggio Emilia, Italy) and IJGCMS Editor-in-Chief Rick Ferdig (Kent State University, USA). Ludic here refers to Latin definitions of ludus, referring to fun, play or playfulness. It might also widened to include the notion of entertaining facilitation, ease or pleasure of use. Simulations are computer-mediated environments that provide opportunities for users to explore a world, an occupation, a task, etc.. We are making a broad assumption that all electronic games are simulations, but not all simulations are games. We expect electronic games to be fun. Games that are not fun are not played, understanding that “fun” is unique to each player. However, we do not often expect simulations to be fun. If a pilot or anesthesiologist is learning their vocation through virtual experiences, we seem to care more about their learning than whether they are having fun. We want better doctors and better pilots first and foremost. Co-produced by in the UK by body>data>space and National Theatre as part of the EU project MADE, and connecting real-time audiences between London, Paris, Brussels and Istanbul, me and my shadow, by UK artist Joseph Hyde in collaboration with Phill Tew will premiere at the National Theatre from 10 – 26 June 2012 as part of National Theatre Inside Out. Register by May 31, 2012 and save up to $800 on any full-conference registration. Technology Review’s annual Emtech MIT is the premier conference focused on emerging technologies and their impact. Emtech is a place where technology, business, and culture converge. It is an access point to the most innovative people and companies from around the world. Most of all, it is a place of inspiration: a place to glimpse the future of technology and begin to understand how it is going to impact the world and your business. Emtech is a community, a network, and a meeting place for business leaders, innovators, entrepreneurs, investors, and change makers worldwide who are passionate about turning ideas into solutions and addressing major global issues. We are driven to answer the challenge of the imagination by inspiring cutting-edge, innovative thinking. 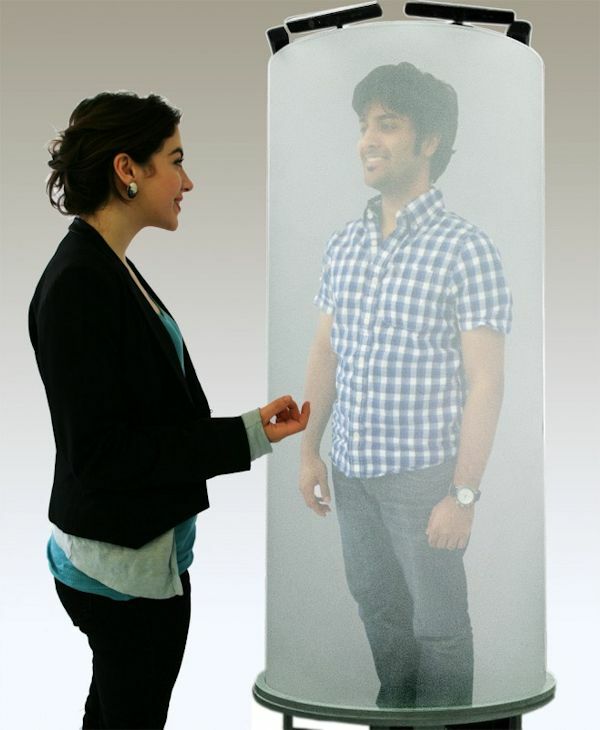 Imagine walking up to a tall, cylindrical pod, and talking to a life-size, 3-D projection of a faraway friend, family member, or colleague. And not only do you see the person in 3-D, you can walk a full 360 degrees around the pod, and see your conversation partner from every angle — just as if the person was actually standing inside the cylinder. PsychNology invites authors to submit papers for a theme issue on “Cool”. This issue follows the Cool aX Continents, Cultures and Communities Workshop (see http://www.chici.org/cool2012/), but we welcome all contributions, whether they build on work presented at the workshop or not. The focus of the theme issue will be on designing for cool in the context of new and emerging technologies. Current literature and work on cool predominantly focuses on specific demographics of society without exploring its broader application. This theme issue aims to explore and discuss the notion of cool and how it crosses the boundaries of continents, cultures and communities. Papers should contribute to a deeper understanding of the different facets and contexts of cool, and whether cool as a concept can be globally defined. How do artefacts become cool? How can ordinary items be appropriated in cool ways?